They've taken to social media to vent. Harry Potter fans have been left unhappy by the news that Albus Dumbledore's sexuality will not be directly addressed in the upcoming Fantastic Beasts and Where to Find Them instalment. The news comes after the film's director David Yates told Entertainment Weekly that the upcoming release would not "explicitly" mention the sexuality of the Hogwarts headmaster. 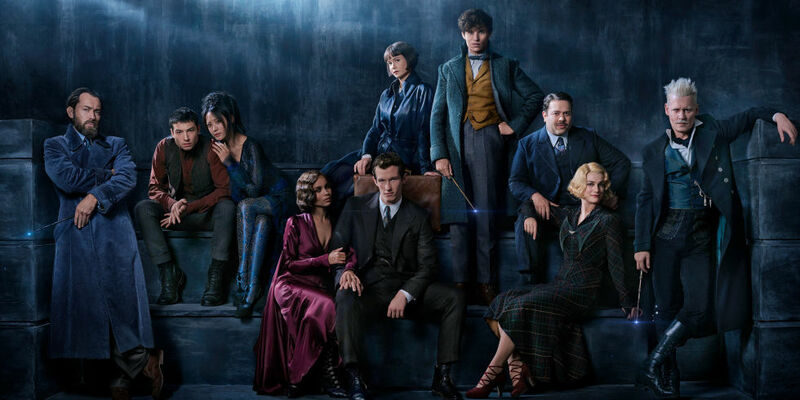 The Fantastic Beasts movies are set before the events detailed in J.K. Rowling's series of books, and centre upon the lives of Dumbledore (played by Jude Law) and fellow wizard Gellert Grindelwald (Johnny Depp) before they later fall out and famously duel. Yates admitted that Dumbledore "had a very intense relationship with Grindelwald when they were young men. They fell in love with each other's ideas, and ideology and each other." Whilst Rowling herself told audiences that "Dumbledore fell in love with Grindelwald, and that added to his horror when Grindelwald showed himself to be what he was" during a speech at New York's Carnegie Hall in 2007. "[I] have always thought of Dumbledore as gay" she added. Rowling has taken to Twitter to defend the movie from criticism, reiterating that it was only one film in "a five-movie series that's only one instalment in". Harry lives in the cupboard under the stairs; Dumbledore lives in the closet. Yates absolutely bottling making Dumbledore gay in the Fantastic Beasts movies is, to be fair, very in-keeping with the source material, where the author also utterly bottled making him gay in the books. I thought I already had enough reasons to be disappointed with the way Fantastic Beasts is being handled, but the recent news still really bums me out. I would’ve really loved to see a young LGBT+ Dumbledore properly respresented. QUIZ: Can you match the Harry Potter quote to the character that said it?